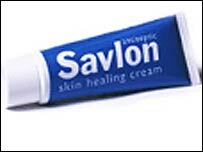 Boots, Superdrug and Tesco have recalled tubes of Savlon after animal rights extremists claimed they have contaminated the antiseptic cream. In a written statement, the animal rights group claimed using the contaminated cream would cause harm. It said it was targeting drug producer Novartis because of its alleged links to Huntingdon Life Sciences in the UK. Novartis said it had not found evidence of any tampering, but warned consumers to be careful. "Examine the package carefully... and avoid using [it] if the packaging has been interfered with," Novartis said.